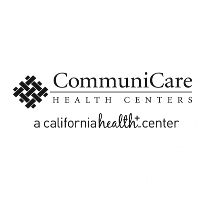 CommuniCare Health Centers is one of the primary providers of behavioral health and substance use services for the low-income, Medi-Cal and uninsured populations- and we have a team of providers and advocates walking to raise awareness of mental illness and raise funds for the important work of NAMI, the National Alliance on Mental Illness. Please JOIN OUR COMMUNICARE TEAM and walk with us, or support our team by making a donation to a team member listed on our ROSTER. Donations on this page are fast, secure and easy.